There’s a piece from me up on the Manga UK blog about the new exhibition of adult manga from the 1960s, currently running at London’s Cartoon Museum. With Mark Schilling’s permission, I’m putting up the unexpurgated text of the interview he conducted with me six weeks ago for his article on Japanese animation futures in the South China Morning Post, in part to show how much work goes on behind the scenes to get a sound bite and an article. Mark Schilling: You mentioned recently that several well-known anime studios might soon go kaput, but without naming names. Is it mainly a problem of rising costs? Declining revenues? Stiffer competition from Hollywood and elsewhere? All of the above? Jonathan Clements: Some of it is economics — we’ve lost several minor studios recently, and their rise and fall, or restructuring and rebirth as “New” incarnations of themselves has been a common factor of the industry for decades. Ghibli itself was at least partly formed from the ashes of Topcraft, for example. Japanese studios in the twentieth century were able to function as subcontractors for American animation. That’s sometimes still true, but so many elements of anime production is now off-shored to China or South Korea that anime studios are smaller, and leaner, and more flexible in their behaviours. As Gonzo showed in the late noughties, it’s possible for a company to go almost completely dark, to give up its studio space, to lay off its animators and just coast for a couple of years as little more than a filing cabinet in an accountant’s office, waiting for the foreign residuals to roll in. That’s good for robust business, but bad for an animator’s job security! There’s a generational issue that many people have spotted in the case of the high-profile retirements at Ghibli, but which is also common to the anime industry. The vision of a single creator, or team of creators, can steer a company and give it a distinctive style or brand, but nobody is immortal. People retire. The anime industry went through something very similar in the 1990s, where a bunch of the first-wave producers cashed in their shares, took their pensions, and handed over their companies to others — it’s what led to some of the big corporate buy-outs like Bandai taking ownership of Sunrise. That was seen at the time almost as a hostile take-over, but for many of the staff it was a welcome hand-over, with one of Sunrise’s biggest and most trustworthy clients taking a direct interest in its output, and thereby preserving the jobs of the employees. What we have now, and have had for the last few years, is the aging of the Astro Boy generation, not of fans, but of animators. 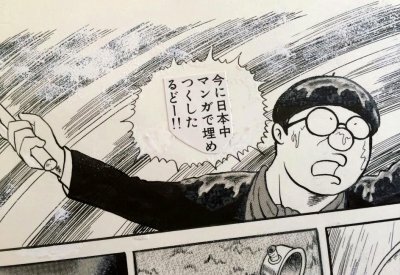 In 1963, Tezuka quadrupled the size of the animation industry, both directly through hirings at Mushi and indirectly through the creation of competition in the market. Those fresh-faced graduates are now in their seventies. Many of them are the leading lights of specific studios and, you know, some of them want to go off and play golf. 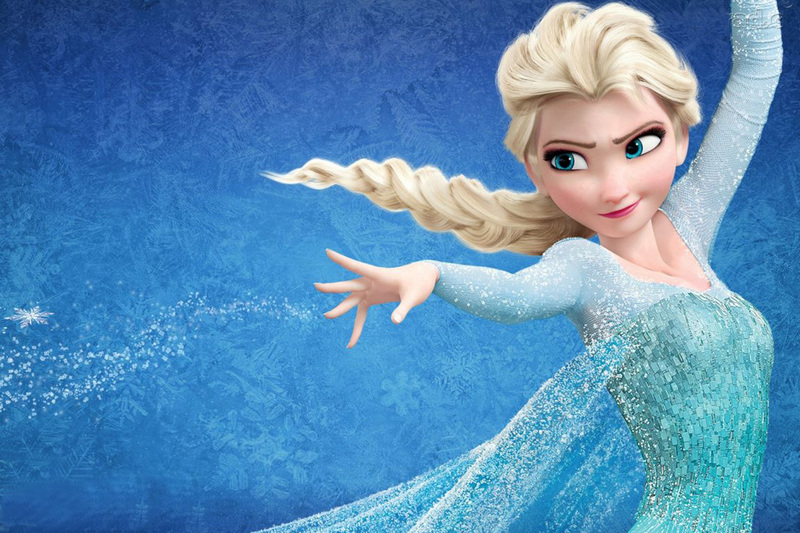 Is the enormous success of Frozen in Japan a one-shot — or a game changer? Will more Japanese studios switch to Hollywood-style 3D CG animation, following the lead of the new Doraemon film? Will Hollywood exploit the fading of Studio Ghibli and become the dominant player at the Japanese box office, especially the animated segment of it? Hollywood has always been the dominant player at the Japanese box office. There have been occasional spikes in local interest for particular directors or franchises, but Japanese cinema is eternally fighting a rear-guard action to push local product ahead of flashy foreign imports. Until Miyazaki’s late twentieth century successes, Japanese animation flourished like a weed, only in the spaces that The Lion King and Aladdin didn’t grow. Even in the 1990s, only a tiny handful of players like Gainax and Ghibli gave Disney anything close to a run for its money on home video. I think it’s worth considering Disney’s acquisition of Ghibli titles in that light — when Disney (or their subsidiaries) put money directly into Spirited Away, they weren’t just investing in a Japanese talent, they were ensuring that they got a piece of the pie from their main competitor in the Japanese market. Japan has been slow to take up 3D CG, because it involves massive reskilling and investment in software and hardware. It’s a return to the state of the industry in the 1950s, when Disney product, made at a substantially greater cost to Japanese competition, was swamping the market with a relentless onslaught of material. I don’t see Hollywood filling any new niche in Japan. Hollywood, in the form of Disney/Pixar and DreamWorks, will keep releasing its big family films and rolling on as before. The likely competition to do what anime does, to compete at a more domestic, perhaps even consciously “Asian” level, is going to come from China. Miyazaki’s retirement merited a sixty-page feature on Japanese animation in one of China’s biggest news-stand magazines, Lifeweek, last October. The implication was clear that this was a business feature, identifying a new market opening, and asking if China had what it took to move in on it. I’m not saying that China is the new Ghibli. Far from it, the Chinese animation business has a lot to learn, and much of its output is highly derivative. But it is generating an animation labour base bigger than Japan’s every year. Kung Fu Panda 3 is going to be a “Chinese” film for contractual purposes, so even DreamWorks is relying increasingly on Chinese labour. The Chinese already represent two-thirds of the labour pool for what we call “Japanese” animation. Granted, that’s all concentrated in the lower, less-”skilled” echelons, but that doesn’t bode well for the future when the upper ranks of Japanese animation companies are increasingly drawn from the ranks of marketers and managers. 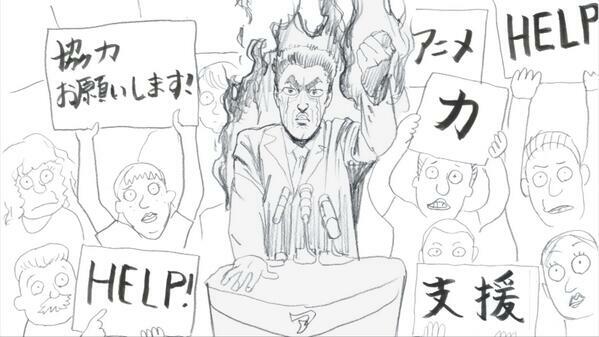 It means that there is a very palpable risk that Japanese animation won’t have any actual animators steering it. You can see the signs very easily. When Toshio Suzuki was sitting on data that told him that “Studio Ghibli” had a 43% trust rating with the Japanese public, but that the name “Miyazaki” had a 64.2% trust rating, what did he do? He got Miyazaki’s son to direct Tales from Earthsea! I think you can see Suzuki’s very canny, very sharp management insight steering much of the last decade. Even as he retires, he puts a former Disney Japan executive in charge of Ghibli. He builds the Ghibli Museum, which is a classy theme park that generates a movie’s worth of revenue every year. He tries the Goro Miyazaki bait-and-switch manoeuvre, and essentially dares the Japanese public to come and watch the car-crash for themselves. 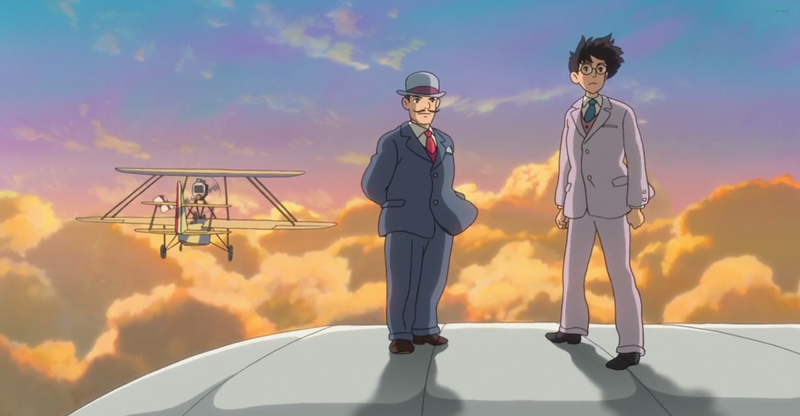 He hypes up this father-son tension in the media, but then gets the Miyazakis working together on Poppy Hill. 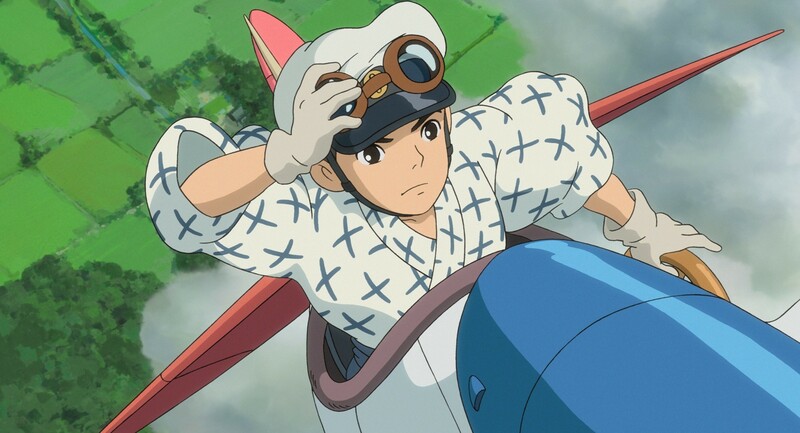 In the case of The Wind Rises, I see it as another calculated move by the studio, to wring one last box office winner out of Hayao Miyazaki. I like to think of them going to his house and begging him to make one last film to keep the momentum going at the museum and on video, and telling him he can make ANYTHING he likes. Because the subject of that film is so personal, and indulgent, and risky, that I can’t imagine anyone else being allowed to get away with it. My prediction: in a couple of years’ time Ghibli will go into production on a script “written by” Hayao Miyazaki, just to ring that bell again. He’s effectively given them a 50-title wish-list of children’s literature worth adapting. There is undoubtedly a faction at Ghibli who wants to pivot it towards doing World Masterpiece Theatre, and carrying Miyazaki’s legacy in a different direction, by copying his early TV successes adapting children’s books. That’s why they’re moving into TV with Ronia the Robber’s Daughter, but you can see the Ghibli is only co-producing it. The animation is actually being done by Polygon Pictures. That The Wind Rises is still in the red sounds ludicrous to me. If it is, it’s only in the movie-accounting sense that Forrest Gump is still technically “in the red.” The Wind Rises did fine. People have been talking about various “new Miyazakis” for years, but that we are truly in the post-Miyazaki era, who do you see as leading the industry, if not necessarily inheriting Miyazaki’s crown? If none of your names are from Studio Ghibli, why not? It’s a cliche to talk about the “new Miyazaki.” Japanese animators hate the whole argument, because it usually implies nothing new at all, just a magical cloning of his unique skillset, and his unique, timely rise in the movie market, and with supporters like Takahata and Suzuki. Ghibli was a three-man success story, very much of its time, and you can’t have a new Miyazaki without having a new Takahata and a new Suzuki. It also requires some awareness of what we mean when we ask for a “new Miyazaki”. Because Makoto Shinkai has a lot of Miyazaki’s heart, but none of his “family” appeal. Shinkai has cornered a market in films for people who grew up watching Miyazaki movies, but he doesn’t make movies for tomorrow’s families. I guess that’s the problem, there. It’s not about who the new Miyazaki is, it’s about who the new audience is. It’s now easier in Japan to buy diapers for old people than for kids. The kids’ market is shrinking, and that further reduces your chances of making blockbuster money on a family film. Studio Ghibli actually tried to grow the new Miyazaki themselves, in several abortive attempts to co-opt big-name talents like Mamoru Hosoda. The fact that Hosoda didn’t fit in at an increasingly management-oriented Ghibli is actually a sign of his true potential, far more than staying there would have been! They also brought in a dozen promising animation assistants and put them to work directly with Miyazaki and Takahata to foster a new generation of talents. That was called the Higashi-Koganei Sonjoku scheme, and its graduates stand a good chance of making waves over the next ten years. People like Masayuki Miyaji, for example, Masashi Okumura and Kenji Itoso. But ironically, Miyazaki’s own shadow looms so large that it’s difficult for someone to turn up at Ghibli with a distinctive voice and not have it shouted down by risk-averse managers. Goro Miyazaki’s films often look like a committee trying to recreate his father’s successes, and that should come as a surprise to nobody. Ghibli was lightning in a bottle, and rumours about its move into legacy management are only logical — I think what people forget was just how darn lucky Disney was that Pixar could show up at the right moment and completely revitalise its output with fresh ideas and fresh technology, and real talents. Ghibli doesn’t have that. Ghibli doesn’t have a powerful competitor that it can embrace and merge with. Jonathan Clements is the author of Anime: A History and Modern Japan: All That Matters. The London they live in is geographically dispersed. Most of the Poles in the show live in Ealing, but the nurse works in Tooting and the yuppie works in Canary Wharf. Aesthetic requirements manage to ignore most of that, so that, as one wag noted, half the action seems to take place just outside Tower Bridge. There’s an element of honour winning through, as the eternally pure-hearted Andzrej tries to find a niche to make honest money, and keeps bumping into Asia, the hard-up would-be make-up artist with bee-stung lips, who is clearly destined to be his bride. 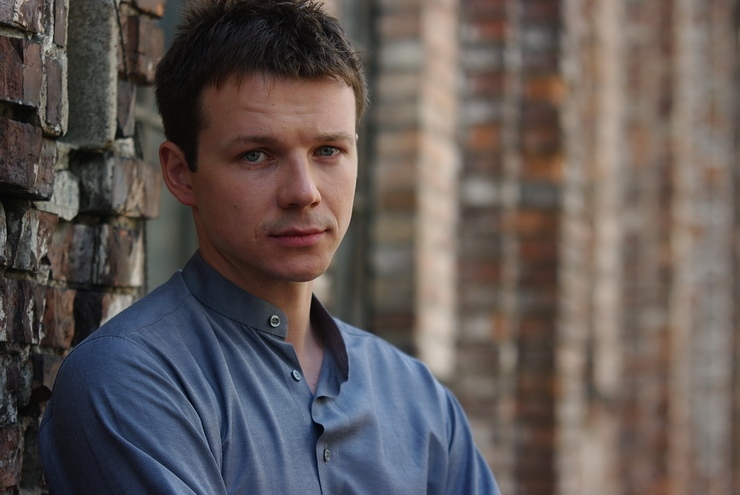 But also there are elements of luck, as the teacher Marcin finds himself on a downward spiral in his new land, unable to even wash dishes competently, soon ending up in a squat packed with ne’er-do-wells. He turns on his fellow Polacks in a language class, berating them for having nothing to say about their homeland but jokes about vodka and football. He speaks of the glory days of Polish literature and culture, but can only do so in Polish, for which his teacher awards him no marks. I have spent most of the last six years living in someone else’s country, so perhaps Londynczycy speaks to me in a way it doesn’t for others. My own language is still a secret code I share with myself and occasional single-serving strangers. And London, my home for 15 years, stares out at me now as a fictional construct, in the Docklands glass of Spooks or bleached frames of Ultraviolet. But the Poles’ London is a wonderful sight to behold: a wainscot society of Slavic grafters, gangsters and good-time girls, where a bus will take you to Lodz from the outskirts of Ealing, and where every street has a “wailing wall” of help-wanted ads. Wladek, the doorman at a theatre, seems to be the oldest of all the Poles, with a vintage that suggests he was here with the last great influx in WW2. 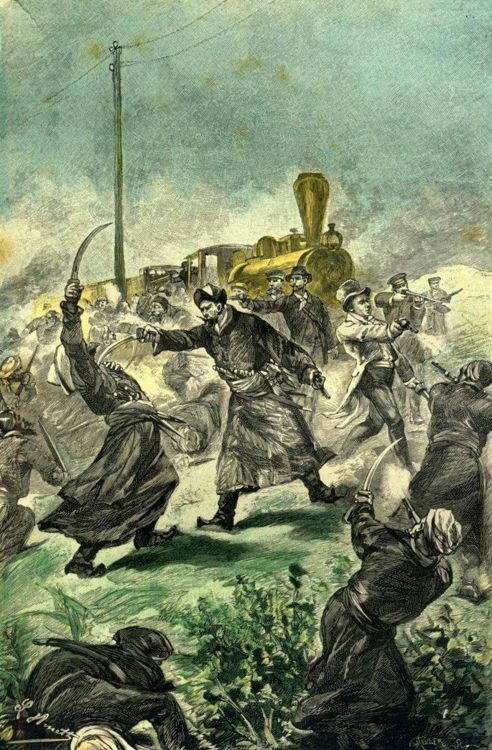 But his story remains untold, in favour of that of Pawel (“Call me Paul”), the city trader who sacrifices his soul for success, and Ewa, a nurse who is offered the high life, as long as she deserts her family. The English cast are a menagerie of broad caricatures, seemingly instructed to bellow all their lines as CLEARLY AND DISTINCTLY as they can to help struggling Polish viewers keep up. A sizable chunk of them are also of immigrant origin, including an entire clan of scowling Pakistani wide-boys, a perpetually dancing family of samba-obsessed Brazilians, a posh British-Indian doctor and a gaggle of thick-necked Russian drug-dealers. Among the English, randy Isabella is a rich cougar with a thing for builders; shouty James is a city trader from the pointy-finger pointy-pointy school of acting; and chinless Peter is a yuppie who fancies Polish girls, who persuades Darek the builder to pretend to be “Derek from Edinburgh” in order to get off with Mariola, the swivel-eyed model who lurches and slurs through all her scenes as if drunk. Running through the whole thing is a fascinating subtext of form — that so many people in Poland have had this experience, or know someone who has, that it is possible to run an entire show about England on primetime on Poland’s national broadcaster. Meanwhile, modern technology allows for some interesting slants on time-honoured set-ups – it is now possible for example, for the loyal daughter to be talking in real time with her hapless sister in another country, as the former wires money for the other to pick up: a conversation held in two Western Union offices, albeit in two different countries. 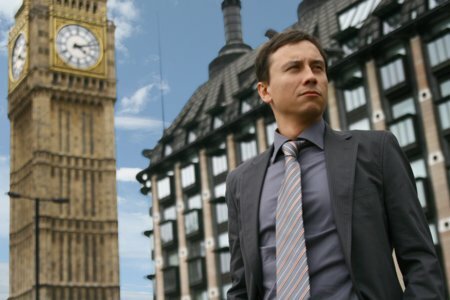 The show’s tagline in Polish reads: “Great Britain, Great Expectations,” deliberately invoking a Dickensian sense of London as a city where dreams can be made and dashed, luring hopefuls from everywhere in search of that elusive secret of success. Jonathan Clements is the co-author of The Dorama Encyclopedia: A Guide to Japanese Television Since 1953. How would you feel if this issue of NEO came with a begging letter? Thanks for the £5, but everyone here is underpaid, so could you see your way to paying our editor’s gas bill, and the designer’s rent this month? Wouldn’t that feel like you were being charged twice? Wouldn’t you start to suspect that NEO was owned by a moustache-twirling dastard in a top hat, laughing over piles of money while his staff laboured like Dickensian urchins? But that’s precisely the feeling I get when confronted with the start-up Animator Dorm project, recently crowd-funded by a group of industry professionals including Tatami Galaxy’s Naoyuki Asano and Gatchaman Crowds’ Shingo Yamashita. $10,000 has made it possible for two animators to live in a… dorm? I guess it’s paid their rent for a year, thereby allowing them to work for peanuts at some studio, helping to perpetuate the poor conditions for which the industry is notorious. They pay their donors back with merchandise and artwork, and a vague promise about an artist outreach project. God bless anime fandom, which depending on who you listen to, is either a braying, multi-headed hydra of self-interest, stealing the very stuff it professes to love, or a community of kind-hearted philanthropists, providing soup and blankets for starving artists. So good for you, if you threw in a few quid so that someone could continue to earn minimum wage and still have a roof over their head. If you were a “Bronze” supporter, you got an art book for $50, which is presumably what makes this more appealing than a similar scheme for, say, Primark employees. As this column noted in NEO 105, there’s crowd-funding and then there’s funding. Put $10,000 into Production IG’s Kick Heart, and you won’t just get a postcard and a lucky gonk; they’ll fly you to Tokyo and make you a producer. At a certain level, the Anime Dorm project is merely a wired-world variant of a pop star selling you a CD and a T-shirt at his concert. These animators have some bonus art to sell, and spending the money on rent, just like everyone else. But is this unprecedented access to the talent, or is it just another example of the owners of anime passing on their poor business decisions to the consumer? Jonathan Clements is the author of Anime: A History. This article first appeared in NEO 127, 2014. 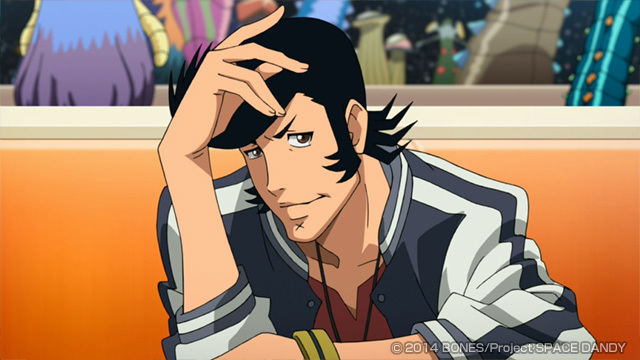 My obituary of Toshio Hirata, the animator whose career spans Kimba the White Lion to Space Dandy, and points between like Bobby’s in Deep and that painting from The Girl Who Leapt Through Time, is now online at the Manga UK blog.